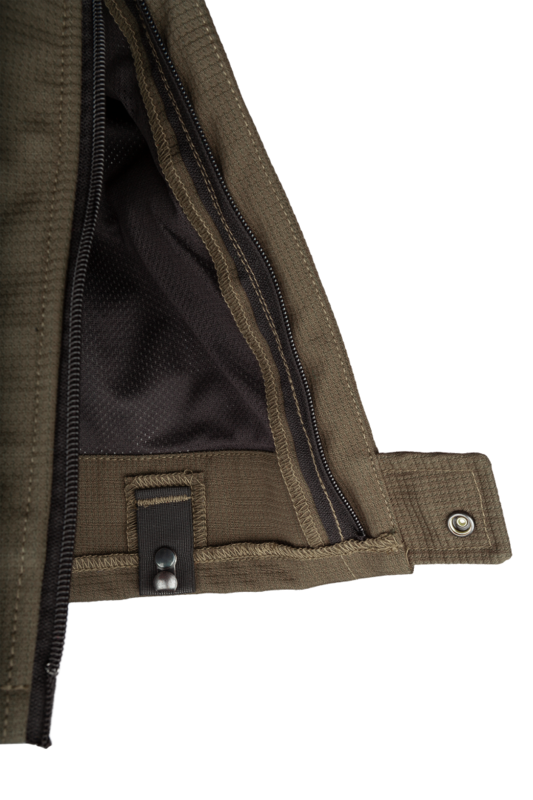 Every hunter has either experienced it him-or herself or knows somebody who's had the experience : being attacked by a wild boar. 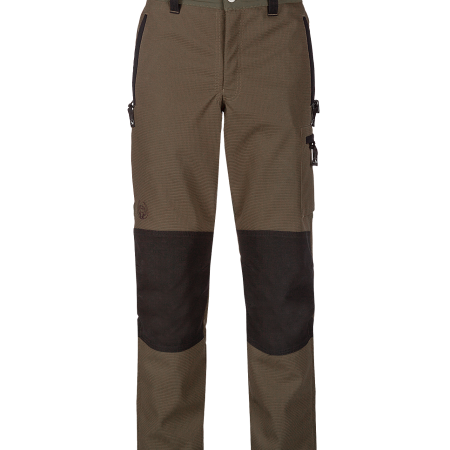 The result of those kind of attacks prove how unpredictable these animals can be and shows the utility of proper protection.Especially to protect you against these attacks we have developed the Tracker Defense hunting trousers. 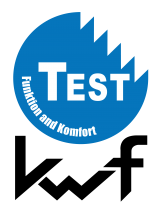 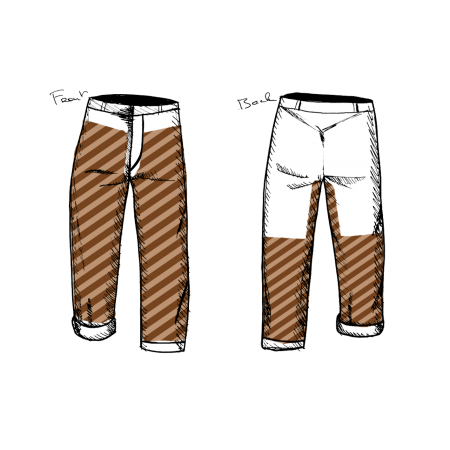 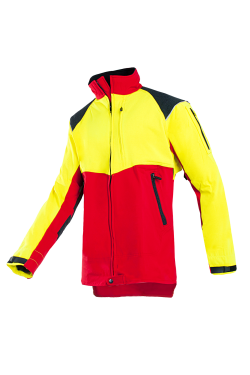 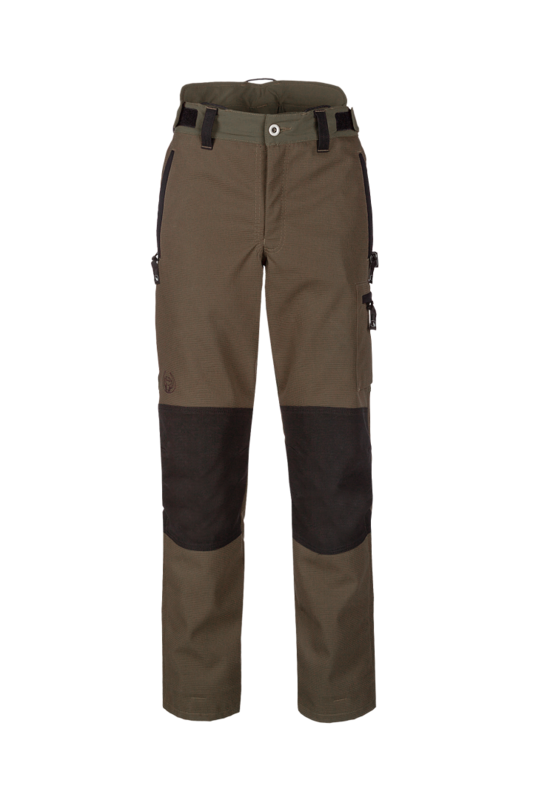 They are the result of intense and thorough testing both in a laboratory to develop the right anti-penetration inlay as well as field tests to provide these trousers with an excellent fit. 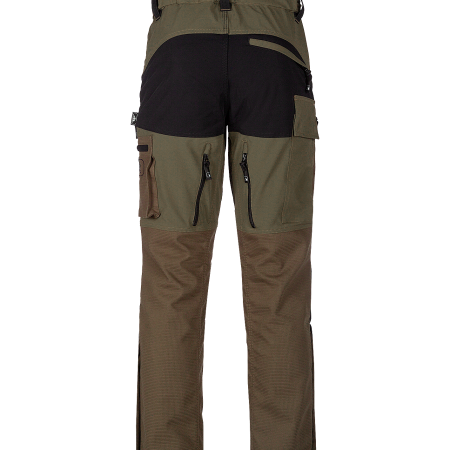 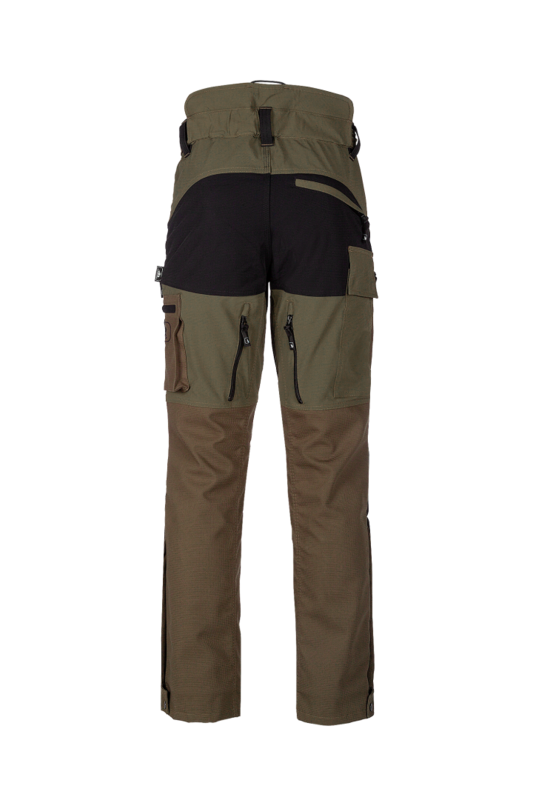 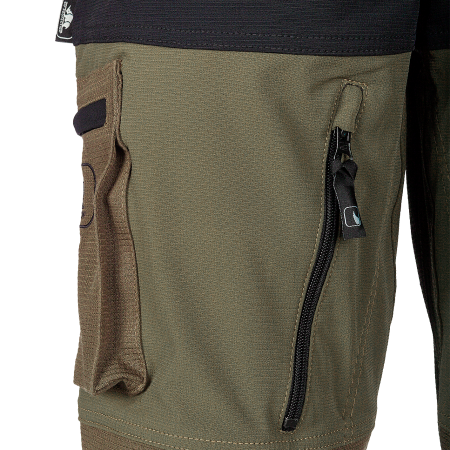 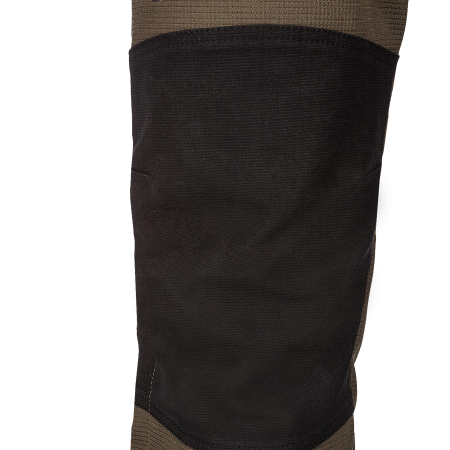 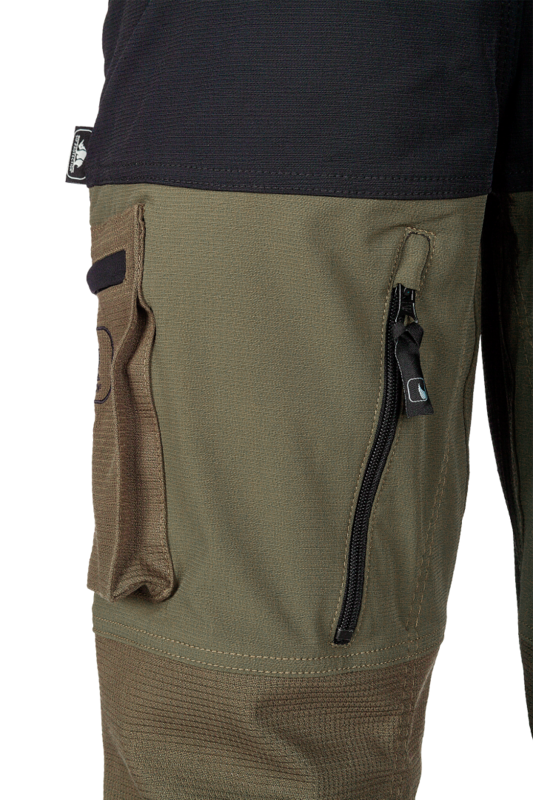 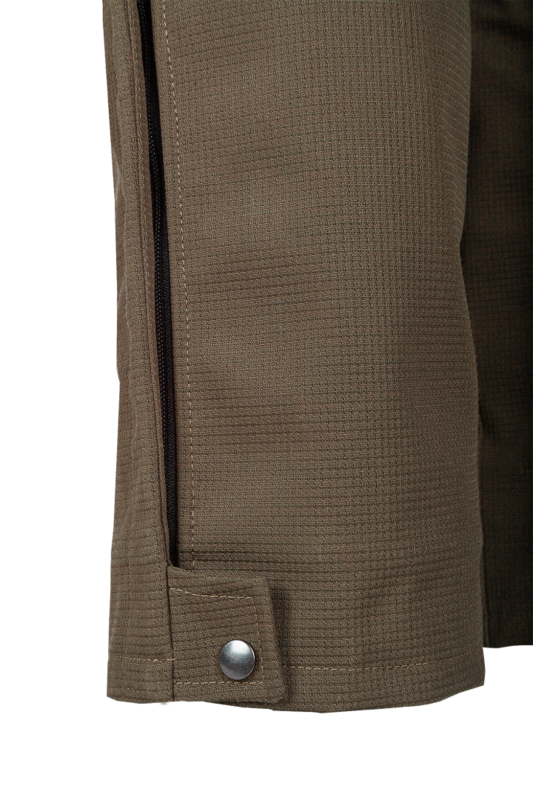 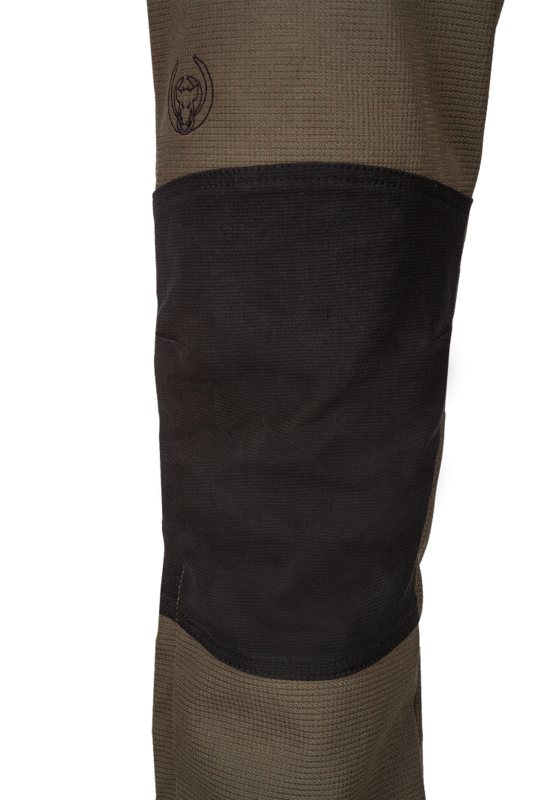 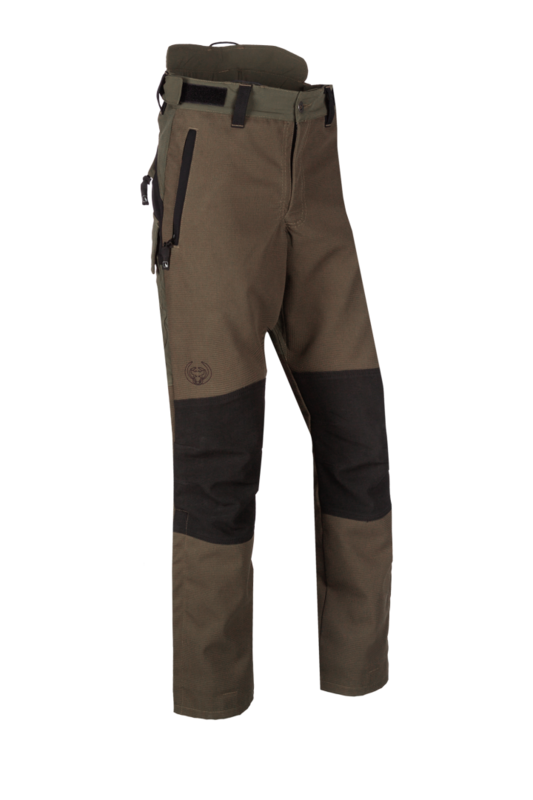 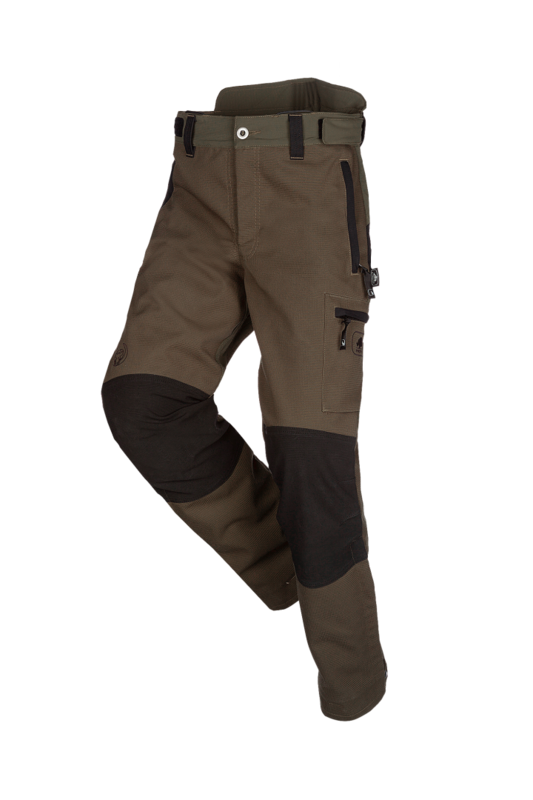 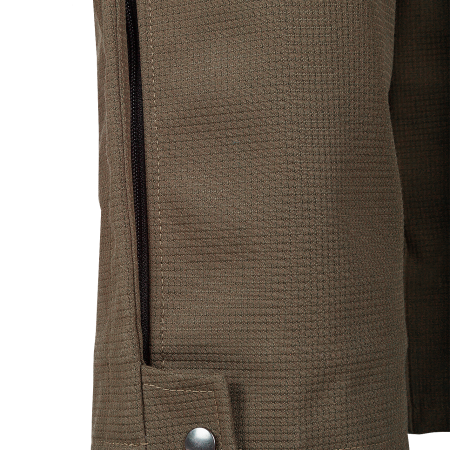 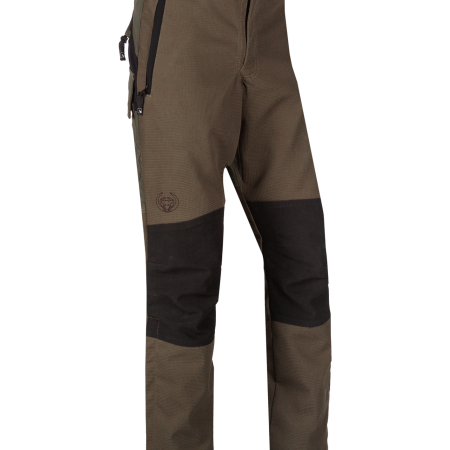 The boar protection inside on the whole front of the trousers and on the back up until the back of the knee, is developed to first absorb the impact of a raging wild boar and minimize the consequent risk of the penetration of the tusks. 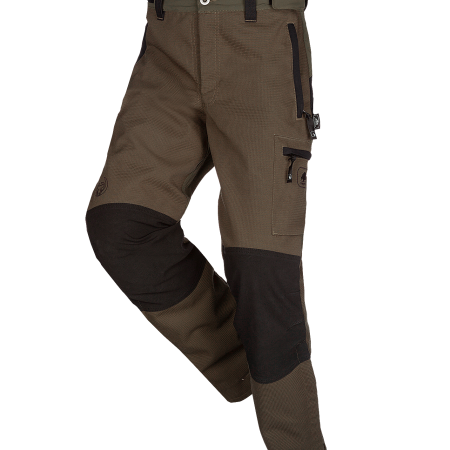 Of course, they are excellent tracking trousers in the first place which will offer great comfort and satisfaction at all times! 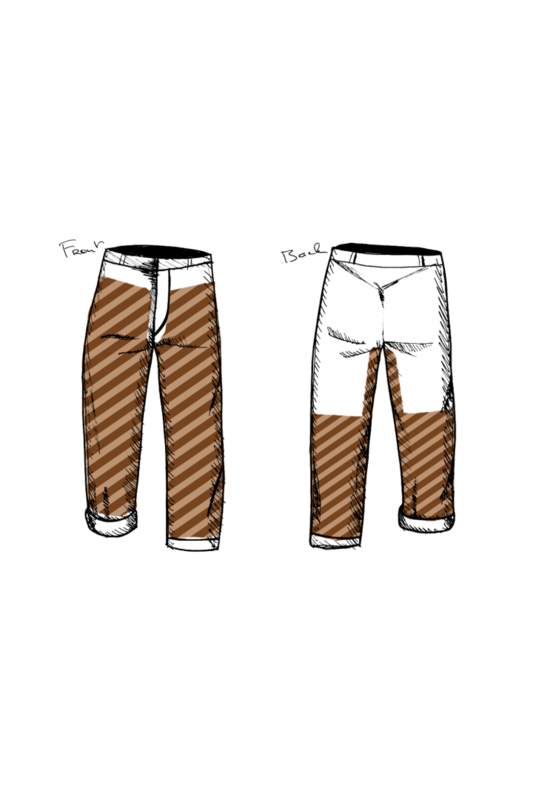 Hi-Tech anti-perforation reinforcement on the entire frontside of the trousers and at the back up until the hollow of the knees. 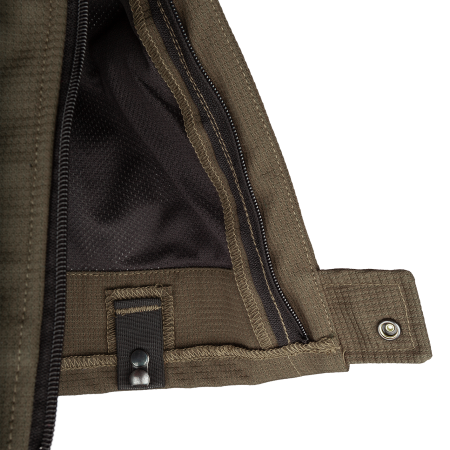 With overlap of seams.